Let's take a break from the ever-increasing horrors of the jihadists(across the Arab world and in Africa), and Putin's undermining of its neighbor Ukraine. Uruguay is a small country nestled between South American giants Brazil and Argentina. With its size similar to the US state of Washington, but with a population of just 3.4 million (half of Washington's), Uruguay does not exactly play large in world geopolitics. But it has a positive story to share. First, José Gervasio Artigas is considered Uruguay's founding father, similar to George Washington for the USA. He was instrumental in playing off forces of Spain and Portugal through their colonies of Argentina and Brazil. He was committed to the concept of republicanism vs the monarchy. To enter the Uruguayan view of life and the nation's history, he is a central figure. Second, the composition and location of Uruguay's population is interesting. Approximately half of Uruguayans live in the capital city Montevideo and much of the rest live in 25 cities spread along the coast. The sparsely inhabited interior is mainly the terrain (and it is flat) of long time cattle ranchers, and a more recent not-insignificant acreage of tree plantations. Similar to Argentina, most of the population is ethnic European, with its most historic and native Indian tribe, the Charrua, now representing just .4 percent of the population. Third, the country's economy and delineation is connected to one of its two major rivers - the Uruguay, which empties into the the Rio Del Plata. Fourth, Uruguay had two large pulpmills planned in 2003 that have been at the center of a dispute with its neighbor Argentina for nearly a decade. The dispute began when plans for building the pulpmills at the river's edge, apparently did not adequately address Argentina's concerns over the shared river asset, in particular possible pollution. The disagreement moved from early official protests, to street protests, to presidential phone conversations, but the completion of the first pulpmill occurred in 2007. The two nations traded changing accusations before the Organization of American States (OAS), plans for the second mill were eventually dropped, but official blockades of the river and the building of concrete walls across highways followed. The simmering dispute over the operating pulpmill led to the eventual involvement of the Catholic Church as "dialogue facilitators," followed by appeals and opinions presented to the World Bank, the European Union, and MERCOSUR . The International Court of Justice in the Hague, Netherlands ruled in Uruguay's favor at one point noting that while Uruguay did not inform Argentina adequately regarding the pulpmill operations, in fact, fears over pollution were not valid as the mill was meeting all international standards. The conflict only ended in 2010, during the presidencies of Cristina Fernández de Kirchner (Argentina) and José Mujica (Uruguay), with the establishment of a joint coordination of the activities in the river. From a recent article found here, we read that in March, the 79-year old president of Uruguay, Jose Mujica, finishes his five-year term . "Uruguay does not allow a president to stand for reelection, so later this spring, Mujica will take a seat in the senate. In the 60s and 70s, Mujica was a guerrilla leader, imprisoned and tortured by Uruguay’s repressive government. Freed in 1985, Mujica shed his violent past, opting instead to become the voice of pragmatism – the art of the possible. His Socialist leanings are apparent still. As president, he lives in a farmhouse with wood heat, saying it frees him from the shackles of consumerism." 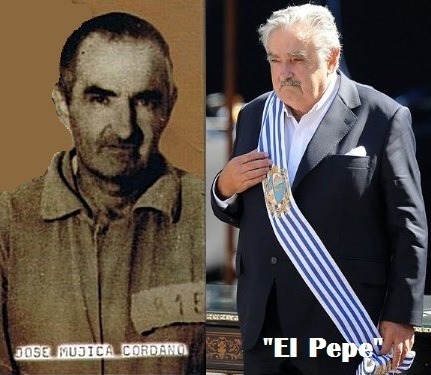 From the beginning of his Presidency in 2010, he actively worked to end the tension-filled disagreement with Argentina regarding the pulpmill, and more importantly, from the article again, "on Mujica’s watch, the proportion of people living in poverty dropped from 40 percent to around 12 percent. While many South American countries shun outside investment, local and foreign money has risen to 22 percent of GDP under Mujica. The U.N. reports that in 2014, direct foreign investment slumped by 23 percent in Latin America and the Caribbean while soaring 9 percent in Uruguay. The World Bank ranks Uruguay ninth out of 32 countries in the region for “ease of doing business.” That is far higher than neighboring Brazil and Argentina, where nationalist policies have foiled foreign investors and local producers alike, and socialist Venezuela." Let's savor that 40% to 12% reduction in poverty rate for a moment, something accomplished in just 5 years. It also fits in context with a series of seemingly miraculous accomplishments that were propelled, if not started by Mujica. From wikipedia, "Uruguay is ranked first in Latin America in democracy, peace, lack of corruption, quality of living,... and equally first in South America when it comes to press freedom, size of the middle class, prosperity and security. On a per capita basis, Uruguay contributes more troops to United Nations peacekeeping missions than any other country. It ranks second in the region on economic freedom, income equality, and per capita income. Uruguay is the third best country on the continent in terms of GDP growth, innovation and infrastructure. Love that the forestry aspect was brought into this article. This was ALL new to me, thanks!